Title: Where Am I Now? I have always wondered what happens to child actors/actresses when they grow up. I often click on articles titled "Where are they now?". When I found out that Mara Wilson was writing a book, I knew I just had to read it. I mean, have you read her Twitter account? From her tweets alone you can tell she is a free spirited, confident and outspoken woman. Much like the character she plans in one of her movies, Matilda. 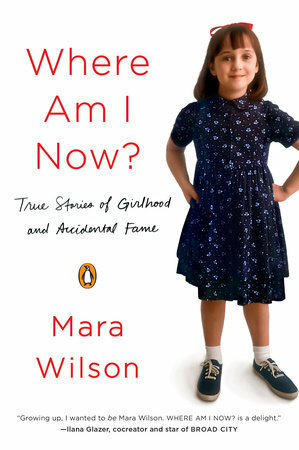 Mara Wilson's book dives deep into the life of a former child actress who, as most of them do, fell out of the "cute" phase and eventually could no longer find work in Hollywood. Her collection of essays is a mash up of stories that at times, can make you laugh uncontrollably and others that make you shed a tear. Mara's book is an easy read that gives you a look into what it's like to grow up as a young child, having all the same problems as most, with the added pressure of being a star. Definitely a recommended book for fans of Mara's movies or those looking for a light read. Disclaimer: I received an advanced copy of Where Am I Now from Penguin Random House Canada for review purposes. Opinions are my own. I was first introduced to Anna Kendrick in the film Up in the Air. When I saw Pitch Perfect, I became a fan. 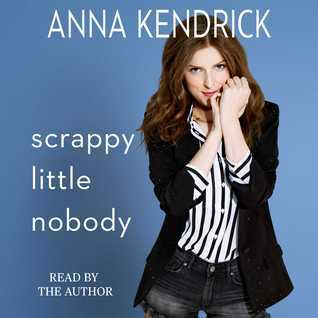 Anna Kendrick's collection of essays is her way of "letting the crazy out". We get a behind the scenes look behind her broadway debut, her experiences on the set of the Twilight films and just how quirky, cool and composed she really is. For anyone interested in reading this book and hasn't yet purchased it, I highly recommend the Audiobook. I've said this before, but listening to an audiobook that is written and narrated by the author really gives it that extra bit of enjoyment. The changes in their tone and spurts of sarcasm don't stand out as much on paper as they do when it's being read to you. 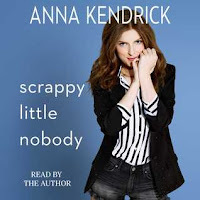 Regardless of the format, fans of Anna Kendrick will definitely enjoy this whimsical series of essays that takes a look into her road to stardom. I have to admit, other than knowing that Trevor Noah hosts the Daily Show, I didn't know much else about him. My husband is actually the one who told me I HAD to get this book. When Penguin Random House Canada offered to send a review copy I jumped at the chance and I'm SO glad I did. The book begins with some background on the laws of Apartheid and brings light to the author's title choice. During the years of apartheid, sexual relations between a white man and black woman was illegal, making their children a crime. 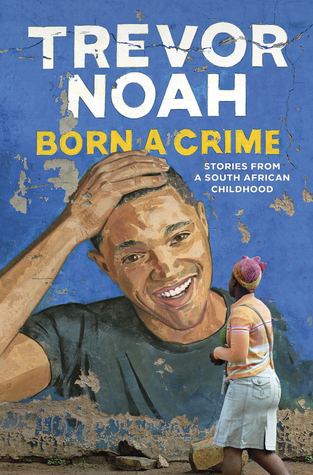 Trevor Noah's story is nothing that I've read before. His life journey from being raised by his mother in secret, to overcoming hardships presented by his skin colour was eyeopening. Born A Crime serves two purposes. It's partially a history lesson in what it was like growing up in South Africa during these times and the difficulties it's people endured in the years after apartheid was abolished. As expected, this book had more than its share of laugh out loud moments. But, what I appreciated most was his openness to share about his upbringing and how it was affected by blatant racism. What I found most inspiring was how he and his mother approached and endured torment from both black and white people. Both of them had learned how to be a chameleon among them. Hands down one of the best books I've read and one that I woudn't hesitate to pick up and read again. Disclaimer: I received an advanced copy of Born A Crime from Penguin Random House Canada for review purposes. Opinions are my own. by Rajiv Surendra. Rajiv is was born and raised in Toronto. Once an actor with a dream, that was never fulfilled. 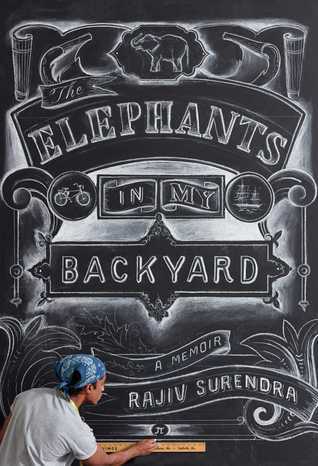 This memoir is filled with joy, heartache and a desire to overcome the pain. Have you read any interesting or inspiring memoirs recently? Leave me your recommendation in the comments below. I usually read 1-2 memoirs a year. The closest was Year of Yes which did make my Top Ten list of the year. I loved Year of Yes. This year was definitely a great year for memoirs.